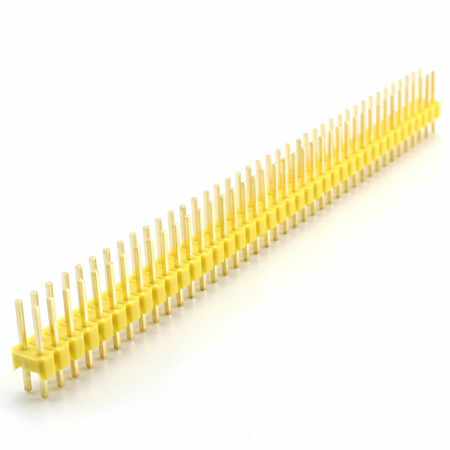 Yellow breakaway male header, 2 rows of 40 pins, 0.1″ (2.54mm) pin spacing. Pack of 4. This is a yellow breakaway male header. 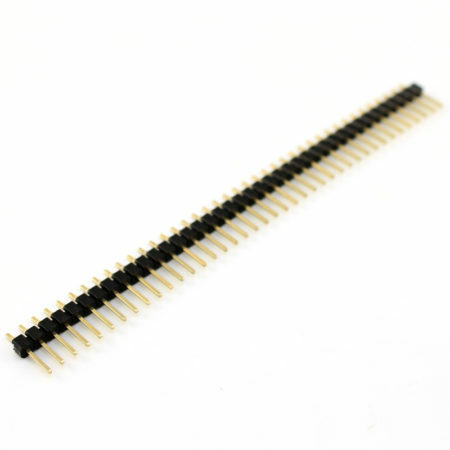 It has two rows of 40 pins with 0.1″ (2.54mm) pin spacing. 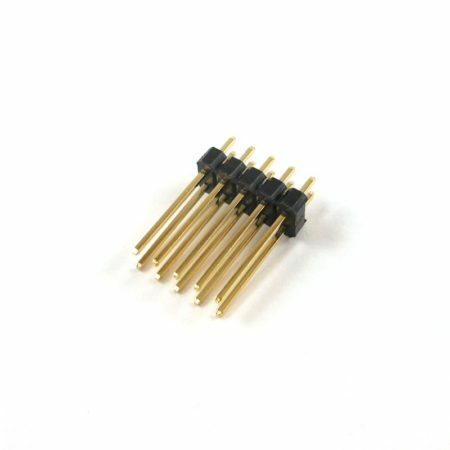 The headers come in a pack of 4 pieces.